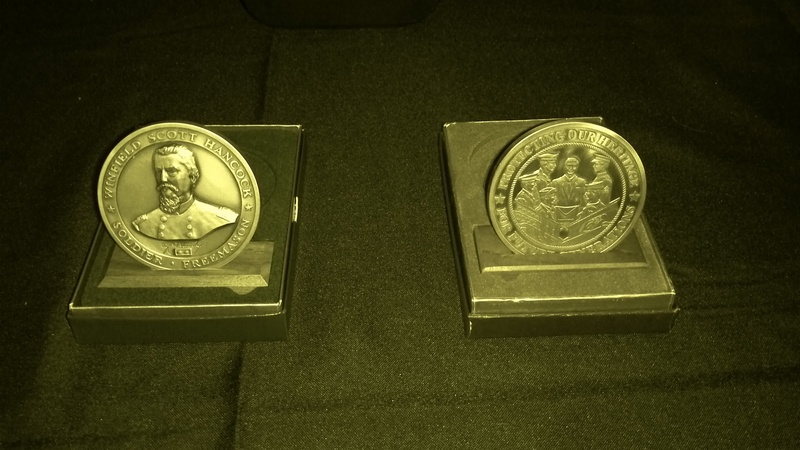 We are pleased to announce that Ubar Grotto will be auctioning off two Grand Master’s Medallions at our April Stated Meeting, to be held on April 28, 2013. These medallions are highly collectible and are made of solid metal. These items were donated by a friend of the Grotto and are estimated to be worth $75 to $100. The first medallion features Bro. Henry Bingham, hero of the battle of Gettysburg. It is only appropriate that this medallion be offered up for auction during the 150th Anniversary year of the battle. The second medallion features a tribute to the armed forces of our country and would make a great addition to the collection of any veteran. Ubar hopes to do an auction at each of its meetings for the rest of the year. If you have a piece of Masonic memorabilia, or some other interesting item that you’d be willing to donate, drop us a message at ubargrotto@gmail.com.